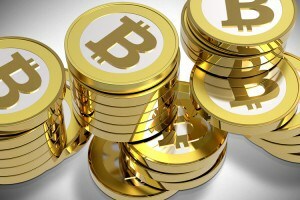 Bitcoin casinos are the latest development in online gambling. 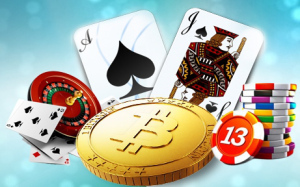 They are online casinos that allow you to play using the digital currencies such as bitcoin. Many players are trying to determine if there’s anything to it, or if it’s just a fad. Gambling with bitcoin or other cryptocurrencies has been growing in popularity. Playing at a bitcoin casino means you can enjoy instant, anonymous transactions, zero chargebacks, and there’s no need to worry about taxes. However, if you’ve been keeping up with the news recently you’ll soon discover that now may not the best time to start experimenting with bitcoin casinos. As a result of the Mt. Gox scam and a historic 5-year low (bitcoin now trades under $400), many bitcoin casinos have gone bankrupt and new scams are being revealed with greater frequency. Starting a bitcoin casino doesn’t require an officially sanctioned gambling license. This makes regulating these casinos extremely difficult. Deposit your bitcoins in the wrong casino and your funds could suddenly disappear without a trace. The biggest advantage that bitcoin casinos offer over a traditional online casino is that gambling using cryptocurrencies is considered legal even in jurisdictions where it might otherwise be considered illegal. Another appealing feature of bitcoin casinos is the ability to withdraw funds instantly and without any of the delays you might experience at a regular online casino. Also, since no licensing is required, there are no regulations preventing the bitcoin casinos from experimenting with different types of games or promotions. However, some of the factors that make bitcoin casinos seem appealing to players are also why they can be so risky. Because bitcoin casinos are so new and trendy, they attract operators with little capital and very little or no experience marketing and running an online casino. As a result, the majority of these start-up casinos can bankrupt within the first few months, taking your precious deposits right along with them. And, because these casinos are unregulated there is nowhere to file a complaint nor any means by which you can try to reclaim your lost money. As with all new industries, it may just be a matter of time before bitcoin casinos develop into legitimate gaming establishments. Successful operators will need to find a way to provide assurances to potential players. It’s not enough to offer great games and good service. After all, what’s the point in playing if you can’t trust that you’ll get paid in the event you win? The future of bitcoin casinos is tied to the future of bitcoins themselves. The people who are investing in bitcoin enterprises are doing so because they are betting on the fact that the value of bitcoins will increase significantly over time. But for now, it’s simply too soon to know whether or not that might happen. Without question, the recent news of bitcoin scams has had a negative impact on the bitcoin industry as a whole. That being said, innovation is a good thing and while there are certainly implementation issues that need to be addressed, it’s likely that bitcoin casinos, or something very similar, will indeed thrive in the coming years.